Enbridge is well known for it’s questionable safety record. “Enbridge was aware that we had a corrosion issue on our pipe at that specific point for a year. We were in the process of getting all of our permits to allow us to do the dig when the incident occurred. That’s just one of the comedy of errors that occurred.” – Ken Hall (Enbridge) regarding the Line 6B disaster. 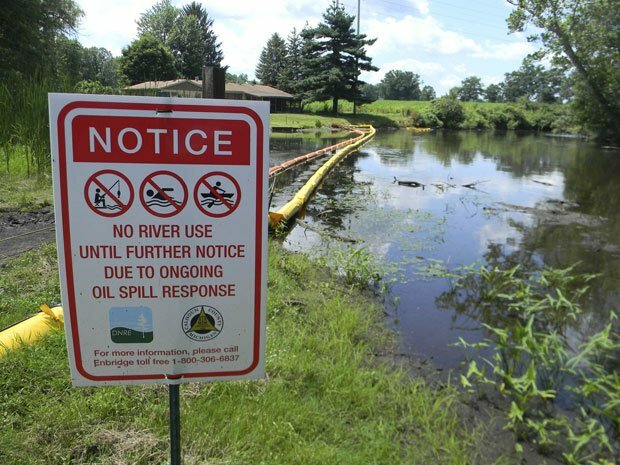 The company’s 2010 Line 6B Kalamazoo River spill in Marshall, Michigan made headlines worldwide, but there’s much more! what were the findings in the Kalamazoo Line 6B spill? How old was that Line?, what caused the leak?, What are the differences and similarities from line 6B and line 9? The Line 6B rupture was caused by external wall corrosion on the horizontal seam of the pipeline. The polyethylene tape coating failed due to age and wetness of the surrounding environment. Line 9 has the same tape coating, the same steel grade, is of similar age and crosses numerous wetlands and waterways across Ontario and Quebec.